When Sophia Amoruso started an eBay store in 2006 and named it Nasty Gal, she had no idea it was going to grow into a successful fashion retailer. But one successful memoir, the viral hashtag #GIRLBOSS, and $100 million in sales later, Nasty Gal is a thriving clothing business that has millennial name recognition most brands would kill for. Now, Nasty Gal is opening brick-and-mortar locations to rival fast-fashion stores like Forever 21, H&M, and Zara. But as the brand looks towards brick-and-mortar shops as its future, competition among other online retailers has never been greater. Keep reading to see the seven stores that have a major online presence and are primed to catch up with — and possibly overtake — Nasty Gal. British e-commerce outfit Missguided covers all its bases when it comes to staying fresh in customers' minds. The shop updates its selections daily, maintains active social media feeds, and plays a commercial during Hulu programming that tends to get stuck in potential customers' heads. Missguided also works the celebrity endorsement angle. Pop star Nicole Scherzinger, formerly of the Pussycat Dolls, has designed a few collections with the brand since 2013. Founder Passi told This Is Money that he has plans to increase sales to over £150 million pounds by next March. They have now set their sights on America, and we will most likely be seeing much more of the British "rapid fashion" brand. When Cannon and Winter first started out, the so-called "Lulu*s Fashion Lounge" was a brick-and-mortar boutique selling vintage clothes in Chico, California. Today, the brand has shortened its name to Lulu*s and sells its girly festival attire exclusively online. 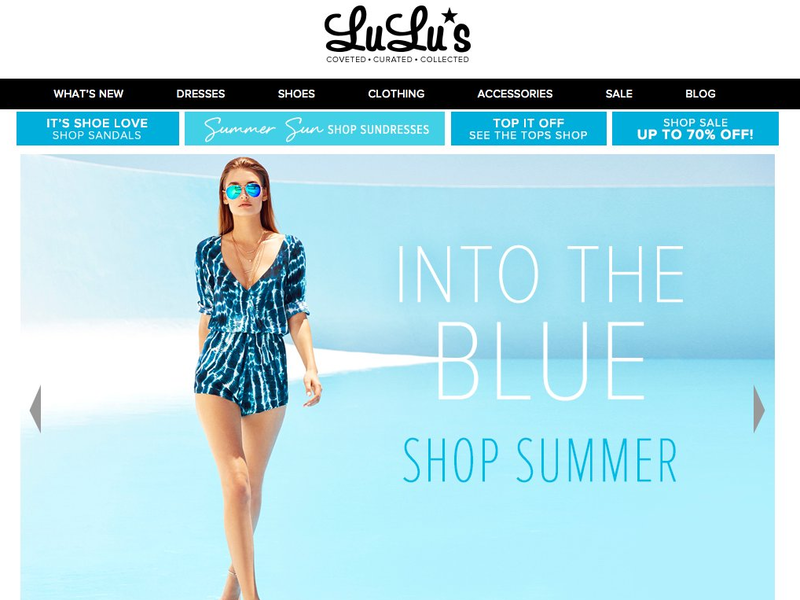 With a massive online presence, Lulu*s sells a range of products from dresses to accessories and beauty, all in limited quantities and of-the-moment trendy styles. In 2014, the Lulu*s team attracted external investor attention — one of the only stores to do so on this list — and partnered with H.I.G. Growth Partners. Co-founders DiCosmo and Bezoza grew up in Bergen County, New Jersey. After starting Gypsy Warrior and gaining traction online, the pair opened their first retail store in 2011 in Ridgewood, New Jersey. 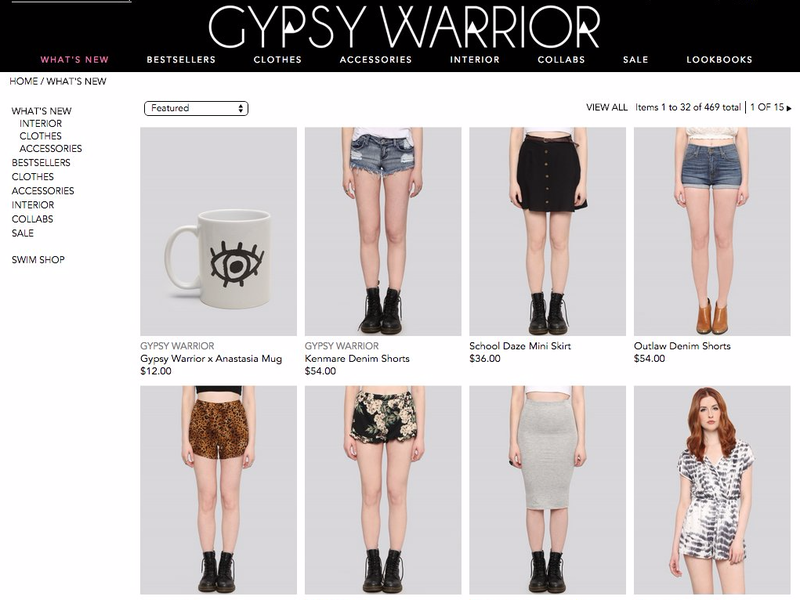 Online, Gypsy Warrior ships their new-age-meets-rock-and-roll fashions worldwide and has a major social media presence. In addition to fashion, Gypsy Warrior has expanded into interior design as well with pillows, mugs, candles, dream catchers, and more. 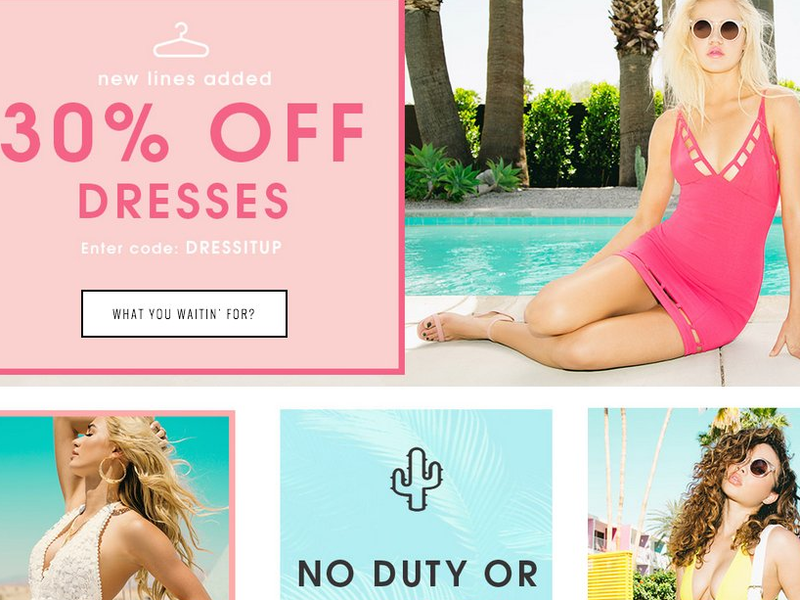 Another online fast-fashion retailer based in California, this brand claims to have customers in over 100 countries and currently employs over 300 people. So far, Tobi has been internally funded, Chan has said. Tobi is savvy at attracting new customers with a promotion for 50% off a first order on clothes that typically range from $50 to $80. The team also puts a major emphasis on customer service and encourages its customers who might be unsure of sizing to contact the team with their measurements and the product they're interested in. The most storied brand on this list, Dorothy Perkins — or "DP" as its customers call it — is also one of the only brands with a chain of retail stores. It was founded all the way back in 1909 when blouses were sold for five shillings apiece. Now, the British brand has 600 brick-and-mortar stores in the UK and sells a range of sizes from US sizes 2 to 18 in tall, petite, and maternity. 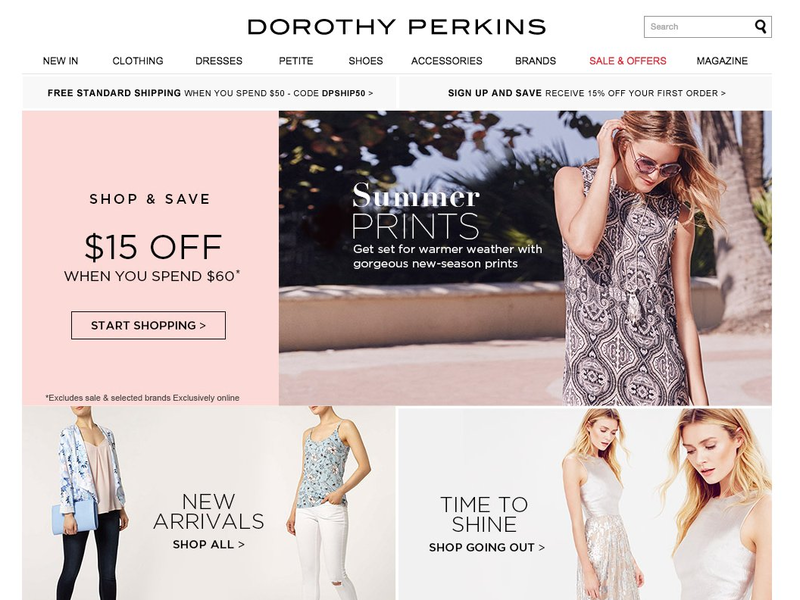 Though they're well known in the UK, Dorothy Perkins has fast-fashion prices and expanded their online presence to include the US where other affordable retailers like Nasty Gal and Forever21 are thriving. Even though the store is over 100 years old, thanks to a huge online presence they could become massive here in the States. Showpo was first known as "Show Pony" when Jane Lu founded the company. At the time, she was tired of corporate life after having worked for accounting firms. She decided to start selling playful and colorful clothing. The brand opened a store two months after launching, and then another soon after at Sydney CBD Westfield mall in Australia. With online skyrocketing, however, the team shut down the brick-and-mortar stores to focus the attention of their 11 staff members on iloveshowpo.com. In addition to Facebook, Twitter, and Instagram, Showpo are gaining a following on YouTube with popular how-to videos. What started as a vintage store on the Lower East Side has evolved into a fast fashion online boutique. Drevet and Pietrobelli quit their jobs after a trip to India in 2006 where they realized they wanted to start selling accessible fashion together. 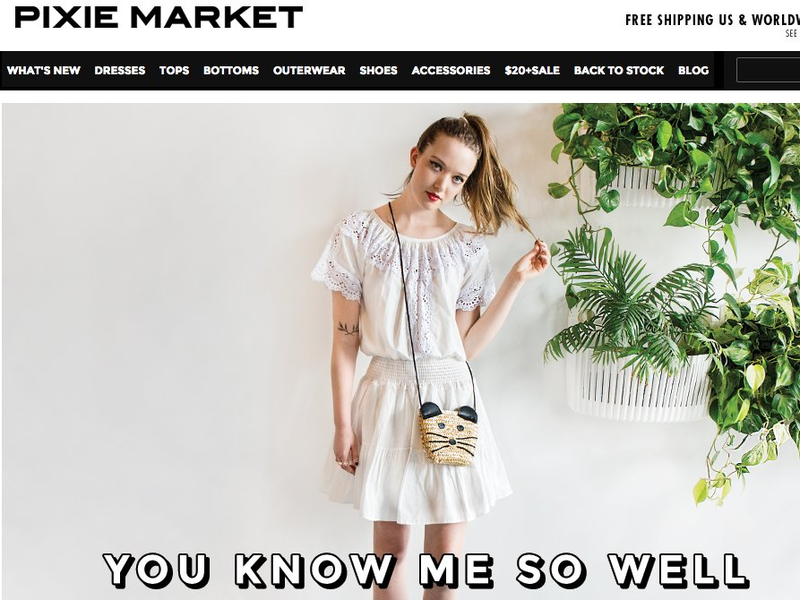 They try to keep the prices for their trendy, bohemian clothing under $100 and are almost exclusively online now after transforming their Pixie Market Lower East Side location in Manhattan into Frankie, the "older sister" store of Pixie Market. Their prices range from $50 to upwards of $400, though most pieces tend to stay on the more affordable side.